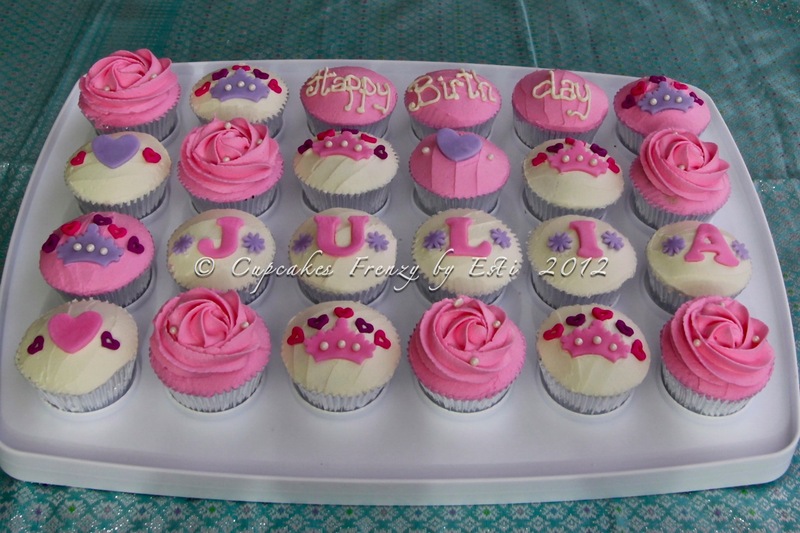 Andrea found out about me and my cupcakes through her South American friend, she ordered 24 mini vanilla cupcakes in pink and purple with heart, crowns and roses to bring to school to celebrate Julia’s birthday. 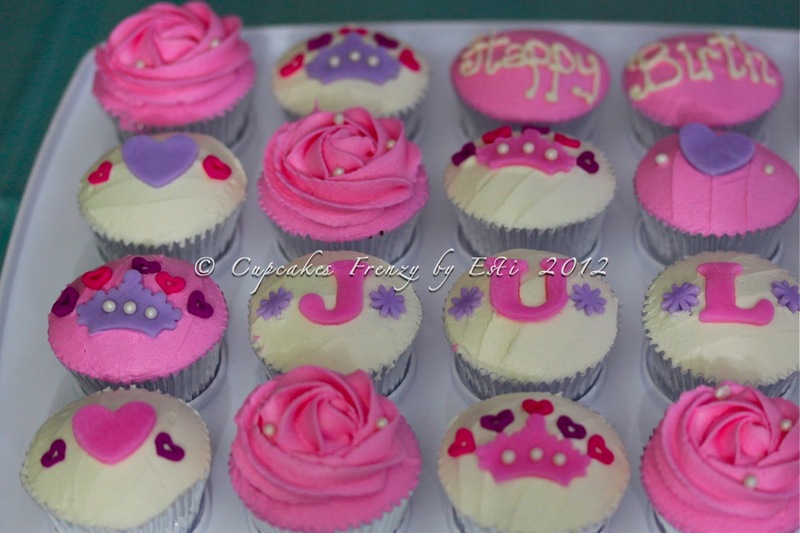 This entry was posted in birthday, celebration, Cupcakes, Mini and tagged 24, birthday celebration, celebration, crowns, Cupcakes, favorite, Gift Ideas, girlie, Princess, princess crown, Shanghai, swirl, vanilla. Bookmark the permalink.